Appellate work is very time-sensitive, and every task relating to the appeal must be accomplished within a time frame set either by the appellate court rules or an order of the appellate court that expressly allows the appellate attorney to deviate from those rules. This basic principle holds true from the very beginning of the appellate process to its completion. The failure to commence the appeal within the time frame set by the rules can result in the loss of the right to appeal. Similarly, the failure to comply with schedules set by the appellate court during the appeal can result in a dismissal of the appeal. Under current law, defendants seeking to appeal convictions from the New Jersey Superior Court have 45 days from the date of the sentencing hearing to commence an appeal by filing a Notice of Appeal, Criminal Case Information Statement, and related documents and materials with the Clerk's Office of the Superior Court, Appellate Division. A defendant may be able to obtain a 30-day extension if he or she has a good reason for failing to file their papers prior to the expiration of the initial deadline, which must be articulated in a relatively simple set of motion papers. The failure to comply with these deadlines can result in the loss of the right to appeal. It may be possible to file the necessary paperwork after the expiration of both deadlines, but this requires a more extensive motion for an order to commence the appeal out of time. This adds an unnecessary step to an already complex process, and there is no guarantee that the Appellate Division will grant this motion. The better course of action is to seek advice from an experienced New Jersey appellate lawyer after the guilty verdict but prior to sentencing, and to be positioned to commence the appeal on time. Also, deadlines vary from court to court. For example, defendants who wish to seek review of an adverse decision of a New Jersey Municipal Court have 20 days to commence the appeals process. In the Federal system, a defendant has 14 days from the date of the sentencing hearing to seek appellate review. In New York State, the deadline is 30 days. 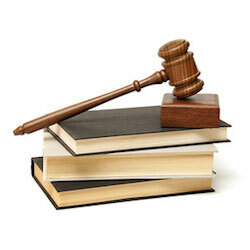 The paperwork that has to be filed, and the manner in which it is filed and served vary from court to court. Aside from stating the applicable deadlines for each of these courts, the foregoing also illustrates the detailed nature of appellate work. It is therefore important to work with an appellate attorney who knows the rules for the court that will hear the appeal. In this regard, nothing beats experience. Few things are more disheartening for an appellate lawyer than learning during the first encounter with the client that the time for commencing the appeal has long since expired. A basic mistake that was made before the process even started has now resulted in the possible loss of appellate rights. This could have been avoided by the prompt retention of an appellate attorney soon after the return of the guilty verdict. Protect your rights by acting quickly to retain an appellate attorney. James S. Friedman, LLC, represents criminal defendants in the State and Federal appeals court in New Jersey. If you are seeking to appeal a criminal conviction from the New Jersey Superior Court, or from the United States District Court in New Jersey, contact us online or call us toll free at 800-361-6554 to discuss your appellate rights.